Food is so much more than just a source of nourishment and subsistence. Its richness colors culture, history, and even literature. Its coalescing prowess brings people together into communities by creating a sense of familiarity and brotherhood. Some might go so far as to say that food is one of the major forces forging a national identity. It gives individuals a feeling of belonging that is at the core of nationalism. It serves as a hobby, a passion, a profession and sometimes even as a refuge. Note: The list focuses on the oldest enduring recipes that are more intricate than just bread, rice, meat roasted over the fire or dried in the sun, noodles or for that matter soups. 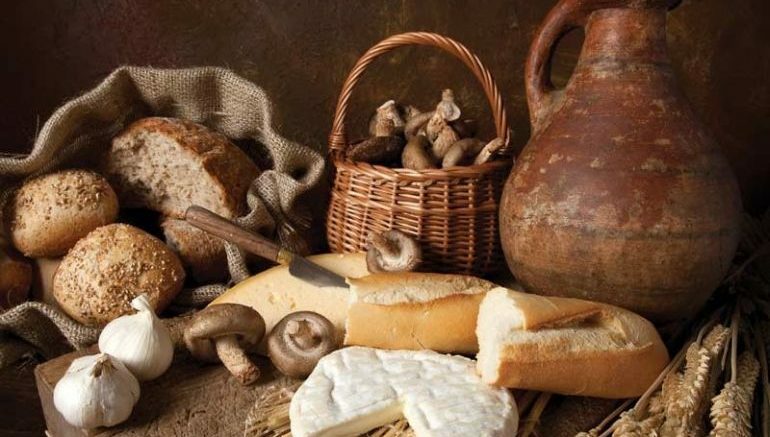 Most of us know that bread was one of the first foods prepared by man, some 30,000 years ago. Although there are many recipes of flatbread, leavened bread and others that are more complicated than just toasting a flattened gruel mixture over the fire, they largely belong to the category of staples much like rice, kebab, and noodles. Here, we are more concerned with specific recipes or at least family of recipes that use spices and herbs to enhance flavor and have slowly evolved over time thanks to advancements in cooking technologies. The Old Testament is rich with references to this type of food preparation. In Genesis, for instance, Esau and his brother Jacob paid off the dowry that Isaac incurred when he married Rebecca by offering a pot of meat stew. There are also several mentions of lentil and grain-based stews. Apicius: De Re Coquinaria, the extant 4th century BC Roman cookbook, contains a number of detailed recipes about fish as well as lamb stews. The earliest mention of ragout, a French stew, lies in the 14th-century book by chef Taillevent called Le Viandier. In the 16th century, the Aztecs partook in a gruesome practice of preparing stews with actual human meat and chillis, also known as tlacatlaolli – though if the concoction was actually consumed is up for debate. An important written record of this practice can be seen in a 1629 treatise by Hernando Ruiz de Alarcón. 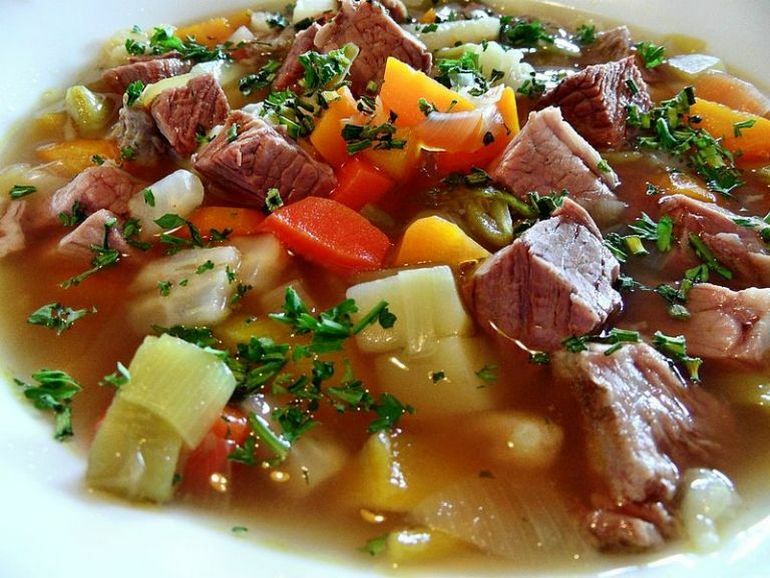 Pottage, sometimes referred to as a thick stew made with a variety of things like vegetables, meats, grains, and fish, has been continuously consumed all over Europe from the Neolithic Age. It was widely known as the poor man’s food, thanks to the easy availability of its ingredients. 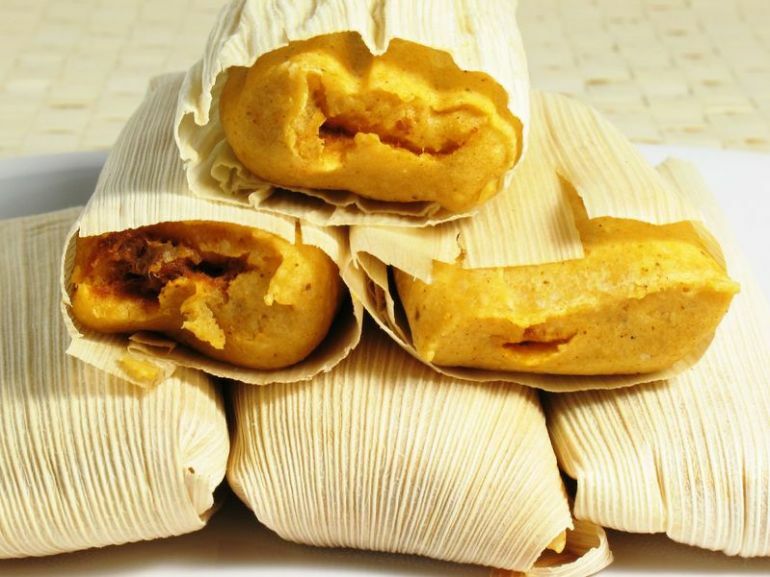 Soft parcels made from masa (a type of dough) and filled with fruits, meats, vegetables among other things, tamales are a popular Mesoamerican dish that has a long, enduring history. First prepared somewhere between circa 8,000 and 5,000 BC – thus boasting their legacy as one of the oldest food items, tamales were later widely consumed by Olmecs, Toltecs, Aztecs and later Mayas. Steamed gently inside corn husks or banana leaves, they were commonly used as portable edibles by travelers and soldiers back when preserving food for long duration was difficult. Historically, the dough-based food was served at festivals and feasts, and usually contained a variety of fillings, including minced rabbit, turkey, frog, fish, flamingo, eggs, fruits, beans and so on. Many pottery fragments dating back to circa 200 – 1000 AD have been discovered in the region bearing the Classic Maya hieroglyph for tamales. Today, tamales are eaten all across Mexico, Central America, South America, the Caribbean, the United States and the even Philippines. Around the world, pancakes are a quintessential breakfast food, often consumed with fruits, chocolate, syrup and a variety of other toppings. It refers to any flat, thin cake made from a starchy batter and cooked in a frying pan or griddle. Depending on the place of origin, pancakes can be very thin and crêpe-like (as in France, South Africa, Belgium among others), made from banana or plantain (like kabalagala in Uganda) and even fermented rice (such as dosa in South India). Tracing the history of pancakes, however, leads us back to Otzi the Iceman, who was alive sometime during circa 3,300 BC. His naturally-mummified corpse, the oldest in all of Europe, was discovered in 1991 in the Italian Alps. Analysis of the body, according to historians, has uncovered a wealth of information about the Neolithic diet. At the 7th meeting of the World Congress on Mummy Studies, researchers revealed that Otzi’s last meal likely consisted of alpine ibex and red deer meat, along with einkorn wheat pancakes. They argued that the traces of charcoal found in the 5,300-year-old man’s stomach, in turn, suggest that the food was cooked over open fire. In essence, the seemingly ubiquitous pancakes are one of the oldest food items known to us. Pancakes were widely consumed by ancient Greeks, who called them tagenias or teganites derived from the word tagenon (meaning ‘frying pan’). They were cooked on clay griddle over the open fire. 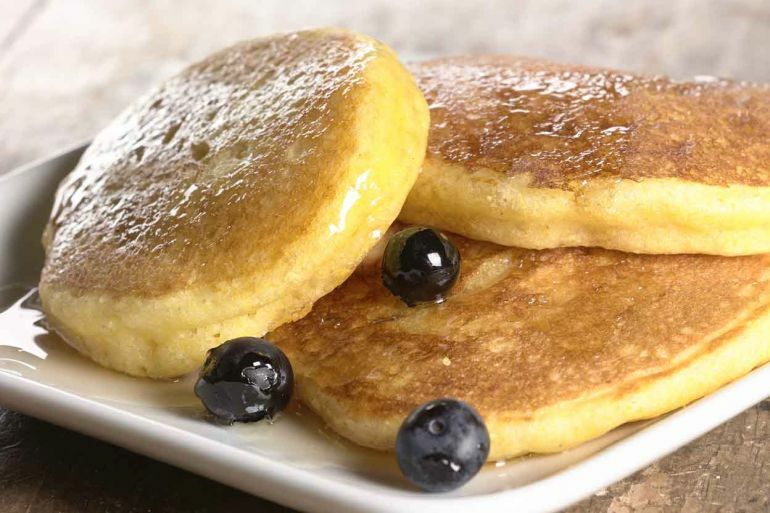 In works of 5th-century BC poets Magnes and Cratinus, we find the earliest mention of these pancakes, which were made using wheat flour and olive oil and served with curdled milk or honey. Much like the modern version, tagenites were commonly eaten for breakfast. The 3rd-century philosopher Athenaeus talked in his book Deipnosophistae of a similar food (known as statitites), featuring spelled flour and adorned with sesame, cheese or just honey. Ancient Romans enjoyed similar creations, which they called alia dulcia (meaning “other sweets” in Latin). Interestingly, the 4th-century Roman cookbook Apicius actually contains a detailed recipe for a pancake-like griddle cake, prepared from a mixture of egg, flour, and milk and drizzled with honey. The first use of the English word “pancake” quite possibly took place sometime during the 15th century. Nothing is more quintessentially Indian than curry. Originating in the Indian subcontinent, this aromatic food is a medley of colors, spices, and herbs. Spices commonly used in curry include cumin, turmeric, pepper, coriander, garam masala and so on. Interestingly, curry powder is primarily a product of the West, first prepared in the 18th century for officials of the British colonial government in India. They can be vegetarian (using lentils, rice or vegetables) or fish, poultry or meat-based. 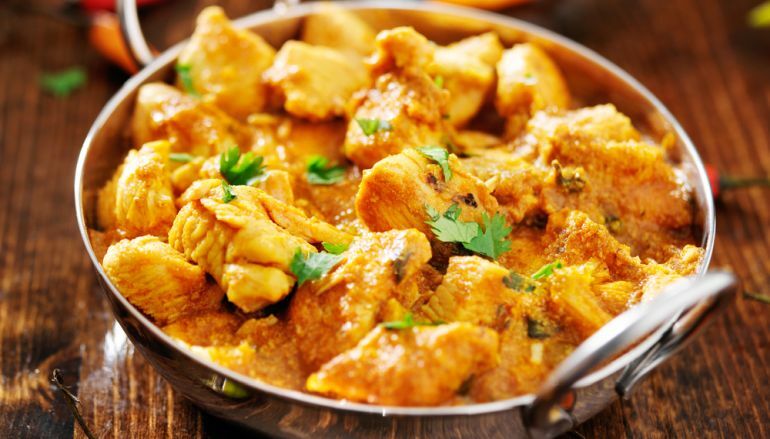 Ever since the recipe was brought to the United Kingdom some 200 years ago, curry has become one of the most recognized icons of British culture. According to the National Curry Week, such is the popularity of this dish that it is consumed regularly by over 23 million people across the globe. Dessert lovers like us often find themselves dreaming about the rich and decadent cheesecake. This creamy and delicious food recipe usually features a thick, luscious layer of sweetened cheese and a buttery biscuit base or crust. While the all too famous American version requires cream cheese, which was invented only in 1872 by dairyman William Lawrence, cheesecakes were originally the brainchild of ancient Greeks, who used a simple mixture of honey, flour, and soft cheese to make a light, subtly-flavored cake often served at weddings and other festivities. Archaeological excavations in the last century have uncovered broken pieces of cheese molds dating as far back as 2000 BC, thus making cheesecake one of the oldest food recipes. 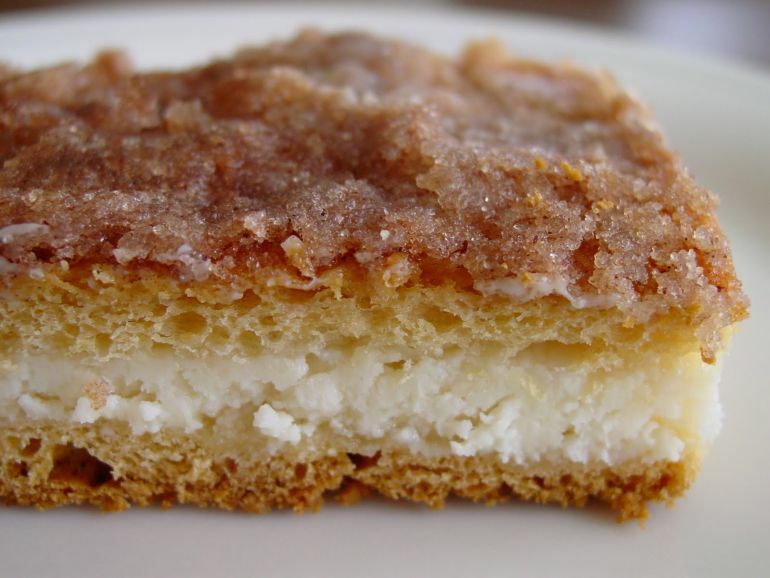 Some historians believe that the very first “cheesecakes” might have been prepared in the Samos, a Greek island that has been continuously inhabited for more than 5,000 years. In fact, the dessert was offered to the athletes participating in the first Olympic games of 776 BC. The earliest written mention of this recipe can be found in a 230 AD book by the ancient Greek author Athenaeus. Following the Roman conquest of Greece in 146 BC the cheesecake recipe was adopted by the Romans and, turned into something even more delectable by the addition of eggs as well as crushed cheese. The baked food item, called savillum, was often flavored with lemon or orange zest, something that continues to be done even to this day. Historical records show that the oldest extant cheesecake recipe can be found in the pages of Marcus Cato’s De Agri Cultura. Later on, it made its way to Europe and, is rumored to have been one of Henry VIII’s favorite desserts. Although the bread was one of the oldest food items man prepared nearly 30,000 years ago, the more complicated varieties like stuffed bread or pastry started appearing much later. By comparison, rice has a long history of being used in rich, flavorsome and more intricate preparations. Pilaf, for instance, is an ancient food recipe made by cooking rice, vegetables, and meat in a broth seasoned with a number of different spices and herbs. Common ingredients include chicken, pork, lamb, fish, seafood, carrots and so on. 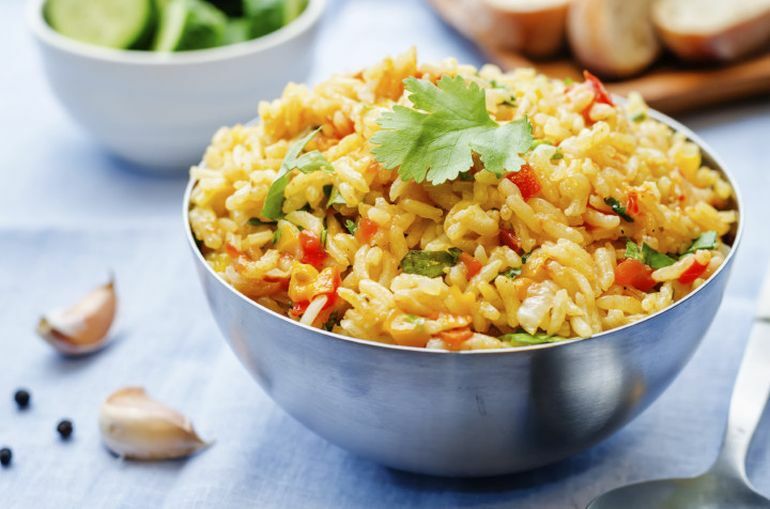 Called by different names, depending on the country of origin, pilaf is widely consumed across the Middle East, Central and South Asia, the Indian subcontinent, East Africa, the Balkans and so on. Etymologically, “pilaf” comes from the Persian polow, while the term pulao (Indian version) has its roots in the Sanskrit word pulaka (meaning “ball of rice”). While the rice was first domesticated in China over 13,000 years ago and later in India, people of ancient Persia started cultivating it as a crop between 1,000 and 500 BC. This paved the way for the first pilaf recipe, which soon spread over other parts of the Middle East as well as Central Asia. In 328 BC, when Alexander the Great conquered the Sogdian city of Samarkand (now in Uzbekistan and Tajikistan), he actually feasted on pilaf. Soon, the recipe was taken over to Macedonia and then to different parts of Europe. Around the same time, a similar rice preparation called pulao sprung in India. In fact, some of the earliest mentions of this dish can be traced back to the epic text of Mahabharata (as early as 400 BC) as well as certain ancient Sanskrit scriptures like Yajnavalkya Smriti (3rd to 5th century AD). The arrival of Muslims in India (as early as 7th century AD) further enriched one of the world’s oldest food recipe, with the addition of saffron and other aromatic spices. This is basically what is called biryani, a type of Mughlai preparation in which the rice, meat, and vegetables form distinct layers. The Spanish paella is believed to have descended from the original pilaf recipe, as well. For the uninitiated, kheer is a wonderfully rich and creamy milk-based dessert belonging to the Indian cuisine. Often served at festivals, wedding ceremonies and even temples, it is believed to be the predecessor of European rice pudding. In the Indian subcontinent, it is known by many names, including payasam, payesh, phirni, and fereni among others. In fact, payasam actually comes from payasa meaning milk. Similarly, the word “kheer” is a modified form of the Sanskrit word ksheer for milk or kshirika (meaning a dish prepared with milk). Coming to its recipe, kheer is prepared by cooking rice, vermicelli or broken wheat in sweetened milk enriched with ghee and aromatic spices like cardamom and sometimes even saffron. For special occasions, it is sometimes garnished with cashews, almonds, and pistachios. The Persian version of the food, sheer birinj, according to Kekmat…was originally the food of angels, first made in heaven when the Prophet Muhammad ascended to the 7th floor of Heaven to meet God and he was served this dish. During the reign of the Cholas in Southern India (between 300 BC and 1279 AD), kheer was commonly offered as food to the gods at any kind of religious ceremony. 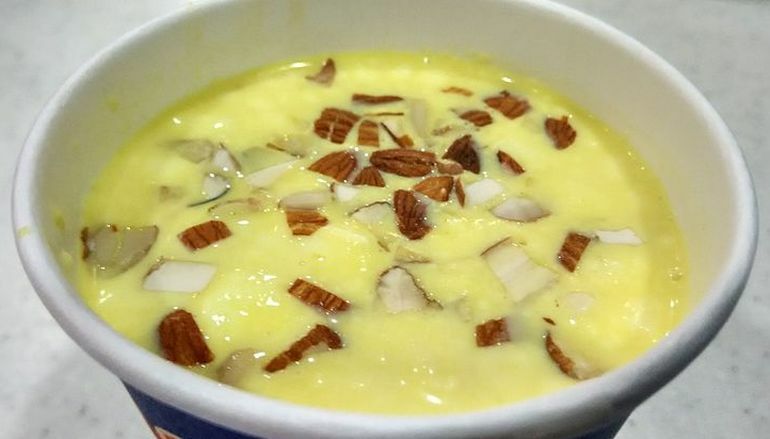 Historical records show that payas, a version of kheer first made in the Indian state of Orissa has been a popular sweet dish in the city of Puri for the last 2,000 years or so. According to some experts, the Bengali payesh is an equally old recipe. In fact, it is believed that spiritual leader Chaitanya actually took with him a pot of gurer payesh (jaggery-sweetened payesh) on his trip to Puri in the 16th century. Fish sauce is synonymous with East and Southeast Asian cuisines, especially places like Thailand, Vietnam, Laos, Myanmar, Cambodia, Korea and even Japan. As its name suggests, fish sauce is prepared by fermenting fresh or dried fish with large amounts of sea salt. Anchovies are one of the most common types of fish used to makes Asian fish sauces. There is a multitude of regional varieties, each featuring different sets of ingredients as well as distinctly-unique tastes. In addition to being used as a condiment, fish sauce is often mixed with herbs and spices and turned into dipping sauces. In fact, written records confirm that sauces made from fermented fish have been in use in certain parts of China for the last 2,000 years or so. One thing that has long puzzled historians is that the origins of fish sauce took root not in Asia, but actually in Europe. Between the 3rd and 4th century BC, ancient Greeks started to make a fish sauce preparation known as garum, which was later adopted by Romans and even Byzantines. Named after an ancient type of fish garos by Roman naturalist Pliny the Elder, this condiment was made by combining fish innards and blood with salt and letting it ferment until it releases a pungent smelling liquid. Like modern-day soy sauce or ketchup, this curiously concocted food item was added to dishes at the end of cooking. Burgers are emblematic of the modern fast food phenomenon. Sandwiched between two soft slices of the bun and embellished with cheese, bacon, lettuce, tomato, onion, mayonnaise and even pickles, this sumptuous meat patty is loved unanimously across the globe, ever since it was introduced in the United States in the 1900s. It was widely popularized by street vendors and was one of the first American fast food items. 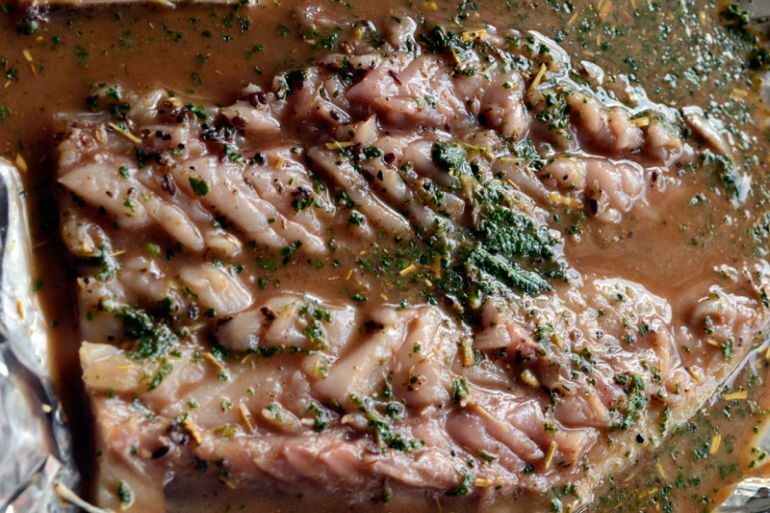 Although the origins of this iconic recipe remain murky to this day, some historians believe that it can be traced back to isicia omentata, an ancient Roman beef preparation that dates back to the circa early 4th century AD – thus potentially being one of the oldest food items in the world. We all know that the Romans left a huge mark on Britain, fundamentally altering the British diet forever. Street food became available en masse, and many of our favorite foods were introduced, including Isicia Omentata, what can be seen as the Roman forefather to today’s burger. 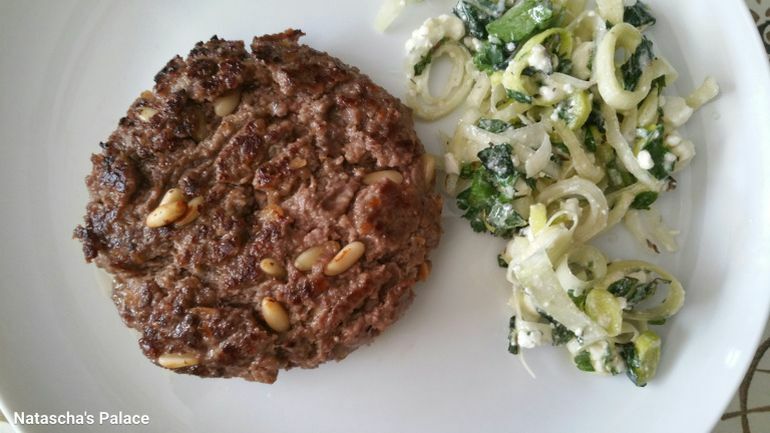 This ‘burger’ was decidedly more upmarket than many of today’s offerings and is richer and more complex than the plain beef version most common today.